Quilting Adventures: A little help from a notion ...! A little help from a notion ...! Have you noticed that Blogger is no longer sending out e-mail notifications for comments posted on your blog? I researched the issue and according to my findings "Google is aware and working on it". OK, I sure hope they resolve the issue soon! I want to share with you this notion that I found helpful when working with the BOM Peace & Unity. 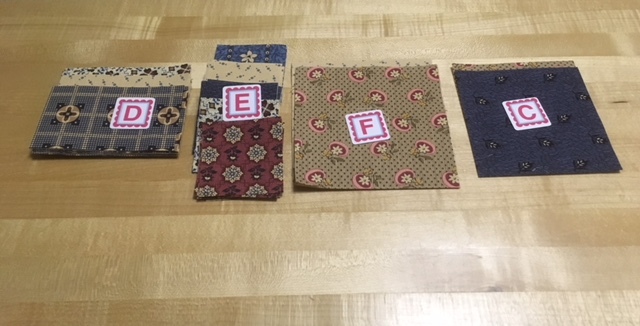 It is called Alphabetties by It's Sew Emma. At times, especially when it comes to a block of the month, there are numerous pieces for the block construction that are labeled either numerically or alphabetically, sometimes both! This was the case with the Peace & Unity BOM and I found the Alphabetties quite useful. I will admit that I do not use them often, but when I do, I'm glad I have them. 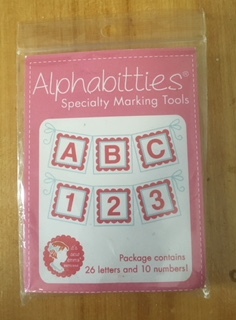 There were lots of pieces to this 12 month program and the Alphabetties kept me organized. I am always disorganized, lol. When I am piecing a quilt, I put it together on the floor, and take a photo. Then I can use that for reference when I sew it together. Comment on your own post and click follow up to get emails. We have a pieced top .... ! My baby is now legal ...!